For the past few days, I've been feeling the need to purge after all my holiday indulgences — too much wine, too many desserts, more than a few late nights. I need to eat lighter, drink lots of water, get a little winter sunshine on my face. Even when I'm reaching for a fragrance in the morning, I want something crisp that pierces my mental fog. That means a short break from my usual soft florals and sweet orientals, in favor of something different. For the past few days, I've been trying Dawn Spencer Hurwitz Albino (A Study in White). Hurwitz writes, "What is it to be without pigment? There seems to be a kind of quality; a luminosity and sense of lightness. So then what? 'White' materials…and a questioning: what does white feel like? Albino takes an abstract look at white from a synesthetic and textural stance." Albino's composition includes notes of grapefruit, guaiac wood, musk, rhubarb, sandalwood, sweet basil, grandiflorum jasmine, tonka, vetiver, white cognac, white oak, ambrette and patchouli. I'll admit that Albino's name put me off for a minute; it's just a little distracting. (Why not name this fragrance Alba or Blanc, or something that doesn't make me picture a white rabbit?) Now that I think about it, Dawn Spencer Hurwitz has created other fragrances that allude to the color white. Winter White makes me think of snow, cream, and white chocolate; Powder feels like cotton balls and baby powder. Albino is different, though; it's not fluffy or comforting. It evokes things that may be pale but are also a bit raspy and raw: birch bark, homespun linen, the fibrous pith of citrus fruits. 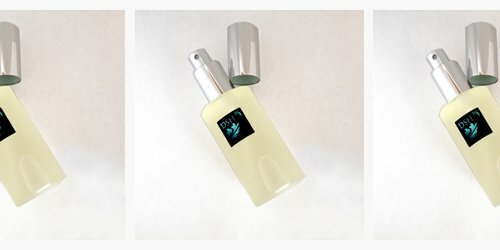 That last one, the fruit pith (grapefruit, specifically), is front and center in Albino: it's very bitter in the fragrance's opening, where it's joined by hints of smoky-burnt wood, but it mellows a little once a tart rhubarb note and something like over-ripe red berries emerge. Albino never turns "juicy," however. It's dry, even astringent. I can catch the anise-like note of sweet basil in the heart, and then the rest of the fragrance's development brings out some natural-smelling wood notes and a very quiet hint of creamy tonka. The grapefruit pith, interestingly, never really fades out; it's surprisingly tenacious for a citrus note. Dawn Spencer Hurwitz describes Albino as a "modern fougère," and it's definitely gender-neutral, perhaps slightly more "masculine" than "feminine." It wears close to the skin and has average staying power. It's an unusual take on the color white, and it's definitely invigorating — by the time it wears off, I'm even feeling more focused and ready to get on with the rest of my day. Dawn Spencer Hurwitz Albino is available in Voile de Parfum and Eau de Parfum in a number of sizes ($6-$155). For purchasing information, see the listing for Dawn Spencer Hurwitz under Perfume Houses. Modern fougere kinda takes this off the table for me. Speaking of white, just got an email from Tom Ford touting the release of Soleil Blanc, a new private blend. Looks like TF’s version of Bronze Goddess, with an accompanying shimmering body oil. Could it be that Blanc is the new Noir?! Stay tuned…! Thank you flor the review. I am in the same mood today–I am wearing Tauer Pentachords White (the last of a sample). There is something stark about the quality of light in the winter months even in a warm climate like Miami that seems to call for a bit of minimalism more often. I will have to give this one a try. I remember that one! I liked it…although it was somewhat different from most Tauer scents, if I recall correctly. Definitely “minimalist”! Thank you for the lovely review. You had me a zesty citrus that stays! I have not tried any from this house because I find the selection over whelming. Perhaps this is a good one to start with. Yes, very zesty!! DSH has soooo much to choose from. Fortunately, the site is searchable by note, etc. and she offers sample sizes! I just can’t get past the name! It might be a lovely scent indeed, but the name makes me cringe and I couldn’t ever tell someone that’s what I’m wearing. I have to agree. I’m picturing the guy from the movie “Powder,” alas. Or a white lab rat with red eyes. Agree with you, Absolute Scentualist. The name is a very unfortunate choice. While “albino” does mean without colour, it is generally used to define people with albinism who, sadly, meet with a lot of discrimination and are even killed in some societies. Not only would I not want to say the name, I wouldn’t want to buy it, which is a shame, because DSH is worthy of support. Perhaps it is my knowing someone with albinism that makes me so adamant. Surely, something like “Translucent” would have been a better choice. Lindaloo, that’s exactly it. Only in my case, I know two people with Albinism and both of them are thoroughly unpleasant individuals, so sadly that’s what popped into my mind as soon as I read the name. It’s too bad as I do love a bracing citrus, and if DSH Perfumes ever renames it, I’d happily give it a try. But the association is just too much for me. I had a similar experience when an indi perfumer chose Quadroon as a fragrance name. I get that it’s part of the city’s history, but being mixed race and having mixed race daughters who fall into that antiquated category, I just found it too off-putting to ever sample. I wish I could just take the “What’s in a name?” approach here, but it isn’t likely. Quadroon!!! That would not be my first choice in honouring a city’s history and the people who contributed to that history, and more importantly, to making a life/living against such difficult odds. I want to thank you for reminding me that just because someone may be discriminated against, it doesn’t automatically make them a good person. Quadroon?!?? WHUT. Are they coming out with Octaroon next?! Very curious about this one since I noticed it on the DSH site last month and I’ll make a point to pick up a small spray sample. I love those small sample sizes on the DSH site! I ordered a few things recently, from sample vial to spray sample vial to teensy bottle, and it’s a great way to try new things or to own just a bit of something you like.